Siddharth Hande is a spatial data analyst by training. He is interested in social entrepreneurship, technology, urban planning, informality and the circular economy in the developing world. He is the founder of Kabadiwalla Connect, an award winning social enterprise in the field of waste management. At Kabadiwalla Connect, his work focuses on developing scalable and inclusive solutions to the collection, aggregation and processing of post-consumer waste in cities in the developing world. 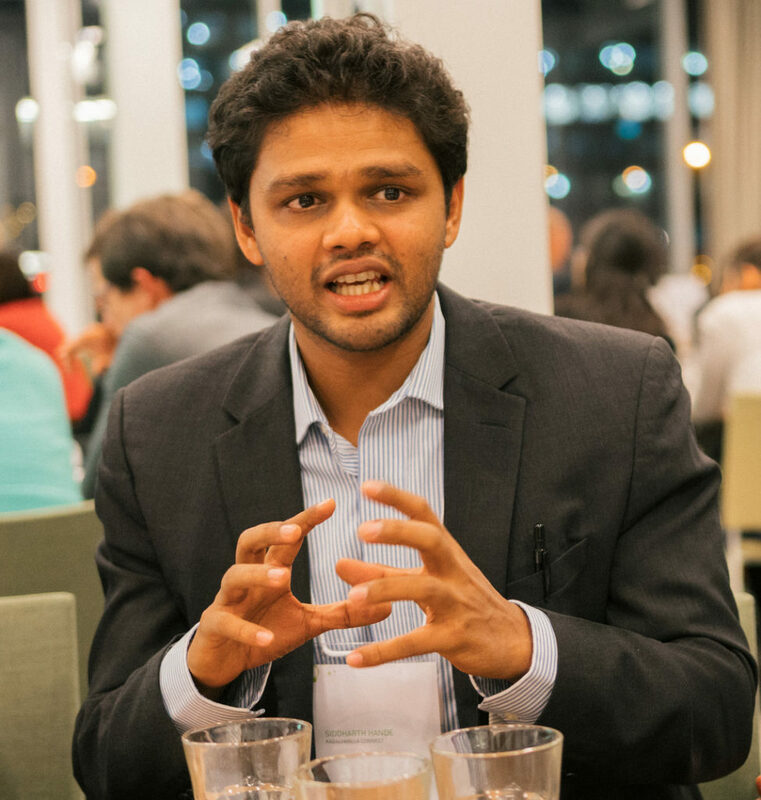 He hopes to be able to articulate a cheaper and more inclusive approach for cities in the Global South to apply circular economy principles — by leveraging the informal waste ecosystem. Prior to Kabadiwalla Connect, Siddharth worked as a consultant in some of India’s premier urban policy and research think tanks, including the Indo-German Centre for Sustainability at IIT-Madras, The Indian Institute for Human Settlements and the Institute for Financial Management and Research.